There’s no ‘i’ in team… and no longer one in Remutaka. The New Zealand Transport Agency (NZTA) is moving to change all signage relating to the area known as Rimutaka, to Remutaka, its regional transport systems manager Mark Owen said. “Following a treaty settlement, Rimutaka has indeed had its name changed to Remutaka. This has been confirmed by the New Zealand Geographic Board (NZGB),” he said. Rimutaka has no meaning in te reo Maori, while Remutaka means “sitting down to rest”. Former Masterton mayor Frank Cody says there is still work to do on the naming front. He is the spokesman and “coordinator” of locals wanting Remutaka’s road to be recognised as a pass. “I want our name to rank with all the other passes,” he said, pointing to the Lindis, Lewis, Arthur’s and Haast passes. NZTA is sympathetic but unconvinced about the need to change the name of the road. “I understand the summit where the road goes through has already had its name changed to Remutaka Pass,” Mr Owen said. NZTA said it did not have a problem with people referring to the road as Remutaka Pass, but officially, the road remained State Highway 2. Mr Cody wrote to the NZGB on the naming issue three years ago, and recently thought it was time to follow the issue up, only to discover the spelling had been addressed. Mr Cody received an email detailing name changes that had taken place for much of the area as a result of Rangitane o Wairarapa and Rangitane o Tamaki Nui-a-Rua’s Treaty settlement of 2016. The New Zealand Gazetteer holds all official geographic place names and features country-wide. Mr Cody said NZTA agreed to put up signage, but the result was underwhelming. “All that happened is a little sign that says ‘Remutaka Pass’. “Well, that hasn’t excited many people,” Mr Cody said. Mr Cody said he found the common name for State Highway 2 demeaning. “Remutaka Hill Road’s a pretty ordinary and common description, isn’t it? It’s not very impressive. 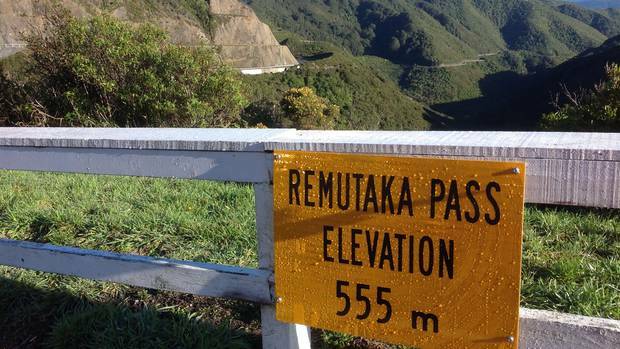 “But to name it Remutaka Pass … all other passes, they have some sort of status in public recognition. Mr Cody said the group will continue to campaign for the road to be recognised with other passes in New Zealand. As of today, the Times-Age will refer to the Rimutaka Range as the Remutaka Range, and the Rimutaka Hill Rd as the Remutaka Pass. The use of Rimutaka was always incorrect, and means nothing in te reo Maori. It’s high time we recognised this, and to do otherwise would be to wilfully promulgate a mistake. Remutaka it always should have been, and Remutaka it now is. Surprised it was not widely publised.